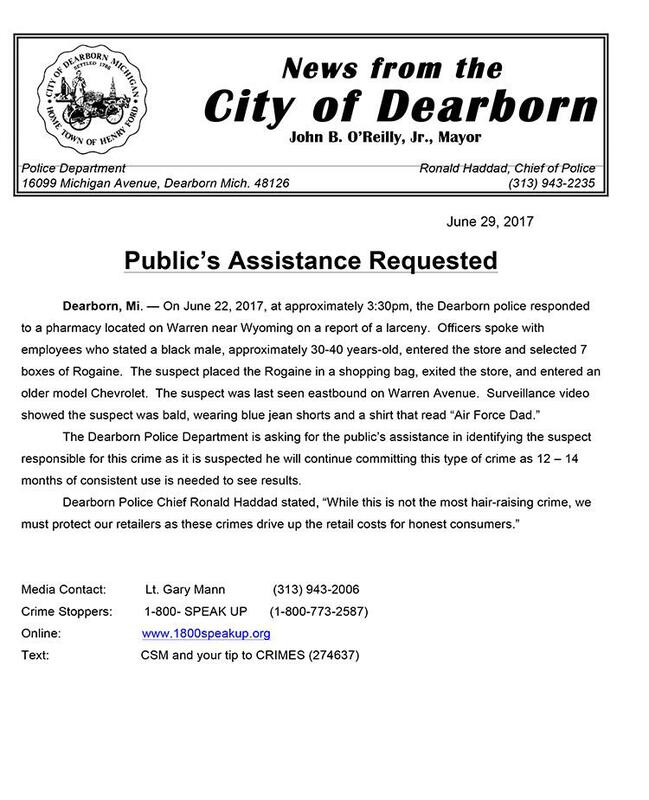 JUNE 30--Michigan police are seeking the public’s assistance in apprehending a bald Rogaine thief. 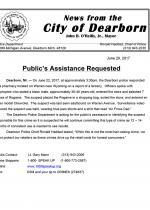 According to cops, the suspect last week swiped seven boxes of the hair regrowth product from a CVS pharmacy in Dearborn. The chrome-domed culprit then placed the Rogaine in a shopping bag, exited the store, and drove away in an “older model Chevrolet,” police report. 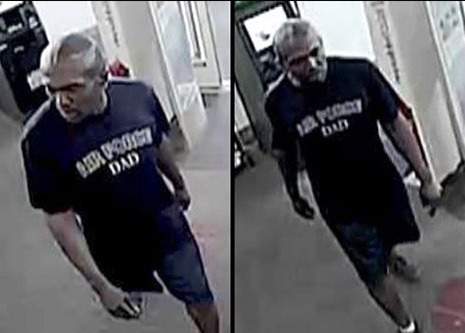 As seen above, the suspect--wearing an “Air Force Dad” t-shirt--was recorded by CVS surveillance cameras as he entered the store on June 22. 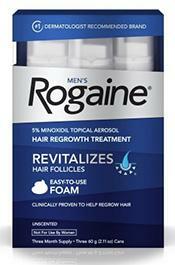 Dearborn police suspect the perp will again try to steal Rogaine since “12–14 months of consistent use is needed to see results.” Chief Ronald Haddad noted that, “While this is not the most hair-raising crime, we must protect our retailers as these crimes drive up the retail costs for honest consumers." The suspect, cops say, is a black male between the ages of 30 and 40. He was wearing blue jean shorts at the time of the Rogaine heist.